I suffered from frequent bouts of insomnia as a child. I remember creeping back down the hallway after I’d been tucked into bed. I’d crouch around the corner from the living room, hiding and listening to the end of the 10 p.m. news and scuttle back to my room when the creak of the recliner signaled that my dad was standing up and headed to his own bed. I remember lying awake, clutching covers under my chin, body tense, heart racing, listening for the clicks of the light switches throughout the house, knowing the darkness I so feared was coming and that I was helpless to stop it. I remember staring at the ceiling, long after the rest of the house was asleep, unable to still my thoughts. Just relax, I’d command myself, as if it would somehow help. Go to sleep. You have to get up early. But no amount of self-talk could help when my old friend insomnia paid a visit, nor did knowing what was coming make it any easier. An impending deployment stirs some of those same old thoughts and feelings in me—dread, helplessness, useless self-talk. I recently came across some old writings and private blog posts I wrote during Steve’s deployments over the past decade. I’m sharing pieces of a few of them here, in hopes that it will encourage you and let you know the feelings you feel right now are ok, even normal, and that you’re not alone (All journal entries will be in italics). I still remember how I felt when I wrote this. My youngest was about 6 years old at the time. “In my life, however, there is a drought. Inside I am drowning and dry as a bone all at the same time. Figure that one out. One of the worst deployments we dealt with—possibly the worst—was when we found out just a couple of weeks before he left that he’d be going to Afghanistan for a year. We were stationed in Germany and had to quickly decide what our four kids and I would do. We ended up staying put, which I wrote about recently for Stars and Stripes Europe. It was also my oldest son’s senior year, and that year ended up looking very different than I’d intended. Without going into too much detail, we found out that Steve will be heading out to a year-long deployment very soon. We are already stationed overseas, and to say we're stunned is an understatement. Still, as I look back at the weeks leading up to this latest, I see God's hand through it all and His tender care. More than I can ever share here. One little thing I can say is that a year ago, this news would have been devastating to me physically, with all the medical problems I was experiencing. I'm in a much better place now, and for that I'm grateful. It's best if I don't ever assume I know what's 'best' because I rarely do. The next year will look much different than I had expected. There are some things I'll need to do to make it while he's gone (we've been down this road before)--more naps, more patience, more flexibility. Also probably more fast food and TV watching! Knowing that there are going to be many tearful days and sleepless nights for all of us. One thing I always seemed to forget, though, was how exhausting it is to solo parent, worry about your spouse, and deal with your kids’ fears. (Hats off to single parents everywhere, by the way.) Here’s a mid-deployment entry. We are just kind of moving along, coping with Daddy's deployment, spending time with each other and friends, doing church activities, homeschooling, going to soccer practices, having piano lessons, Awanas and all those other things that are part of life with kids and a lonely mommy taxiing them around. I'm a bit tired of that last part. Frankly, I'm just tired. This part of a deployment finds me feeling like a wrung-out dishcloth. I think with any ongoing stress or difficulty, people react and respond appropriately in the beginning, and then life goes on. It's also been almost exactly 6 months since Steve left for his latest deployment...which means we are at the half-way point, which means...we still have (gulp) 6 months left. I'm really trying to view this milestone as a positive thing, rather than the fact that I have as much time in front of me as what we've just been through. In the interest of not being too macabre, I won't go on and on about the difficulties. Things DO seem magnified when he’s gone, that I'll admit. Little difficulties and big trials, of which we've had both. I also just plain miss him. I always get a little contemplative as the end of deployment nears. I was telling a friend recently that I wasn't really sure what the lesson was that I was supposed to get over this past year. There had to be something. Surely God was trying to teach me something. I don't believe hardship is ever wasted. At that moment, I couldn't understand any of it (not just another deployment, but ongoing health issues, the unexpected death of a dear friend over the past months). It may sound simple, but I do believe it is this: treasuring every moment. There is never a guarantee of another single day. Live each day the best you can and squeeze all the life out of it that you can get. Don't take your loved ones for granted. Love them. Thank God for all the blessings, big and small. When I look back over this year, I know it was a time of stretching...painful growth in many ways, unexpected ways. But there were also unexpected blessings...sometimes the people you think will check on you are not the ones who do so. But on the flip side, others come out of the woodwork to lend a hand and or say a kind word. "There is no desolation without some consolation." There's loads more. I haven't even touched on the long nights, the sheer terror at seeing certain news, the days you'd rather stay in bed than face life...and sometimes do. Have you journaled during deployment? For me, looking back over those feelings reminds me how God saw us through it all. I found, like I did as a child desperately trying to fall sleep, that willing myself to ‘just be ok with it’ never worked. Sleep eventually came back then, and so too will the end of deployment. I had to learn to walk through the dark days, the hopeful days, the endless days, the days when I came to the end of myself and didn’t feel like I could go on, all of it. Do you feel like no one understands how you feel right now? Do you feel raw, lost, or even just numb? Are you wondering how you’re going to get through the coming days? While a portion of my book is dedicated to deployment, I’ve also created a free downloadable 5-day deployment devotional (scroll down) that I hope you’ll download and use. Over the coming months, I plan to add to it, as well as other short devotionals for other aspects of military life. In the meantime, hang in there. You’re in my thoughts and prayers. 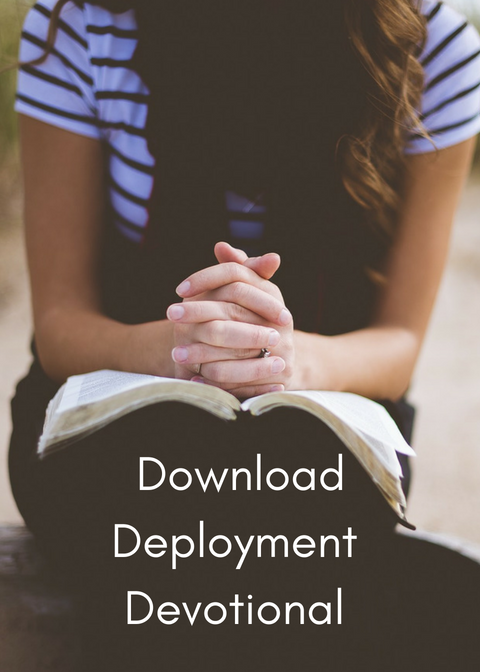 Enter your email below to download your free 5-day deployment devotional. Thank you! CLICK HERE for your deployment devotional. 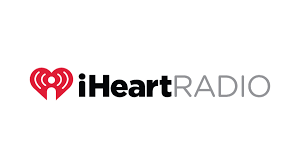 You 'll receive periodic news and updates from Jen McDonald and can opt out at any time.